Whether you are Irish or not, today is a celebration of Irish culture. History shows that St. Patrick’s Day observes the death of St. Patrick, the patron saint of Ireland. The holiday has evolved into a celebration of Irish culture with parades, special foods, music, dancing, drinking and lots of green. It is a day for everyone to celebrate. Ireland is also a magical place to visit and is noted for its friendly, warm people, its wonderful scenery, its castles and ancient churches, and of course it’s forty shades of green (aka The Emerald Isle). On the day of celebrating everything Irish, today seemed like the perfect day to transport you to Ireland and experience a side of Ireland you may not get to see. Enjoy some of our favorite breah taking views and quotes from our visit to this beautiful country two years ago. Have a great day and Happy St. Patrick's Day! “May your troubles be less and your blessings be more, and nothing but happiness come through your door”- Irish Blessing. Did you know? Even though Mardi Gras ended yesterday, traditionally, the King Cake for Mardi Gras is a ring-shaped, yeasted confection, with cinnamon and sugar swirled throughout the batter, white icing on top, and sprinkles of gold (power), purple (justice), and green (faith) colored sugar as a garnish (mardigrasneworleans.com). And, “each king cake has a tiny plastic baby inside. In the past, you might have found an item such as a coin, bean, pecan or pea in a king cake. The lucky person who receives the slice of cake with the baby has the next king cake party (or brings the next cake for the office)”.https://www.mardigrasneworleans.com/history/king-cakes. I tend to “bend the rules” in cooking, and my “take” on this New Orleans classic, is an apple-cinnamon filled cupcake dolloped with a creamy buttercream frosting, and adorned with the traditional colors of Mardi Gras. The apple butter-cinnamon filling (Cherchies® Apple Butter Spread) replaces the baby. (Considering I have two teenagers in braces…I decided to forgo the baby figurine for apparent reasons;). However, if you are bringing these tasty treats to a Mardi Gras party, by all means, add a plastic baby to one of the cupcakes! Or, for Easter, add a jelly bean and create a new tradition. There you have it. I may have been late to the party for Mardi Gras, but by simply changing up the sprinkles and decorations, you can enjoy these apple cinnamon filled, sugary confections year-round for any occasion. 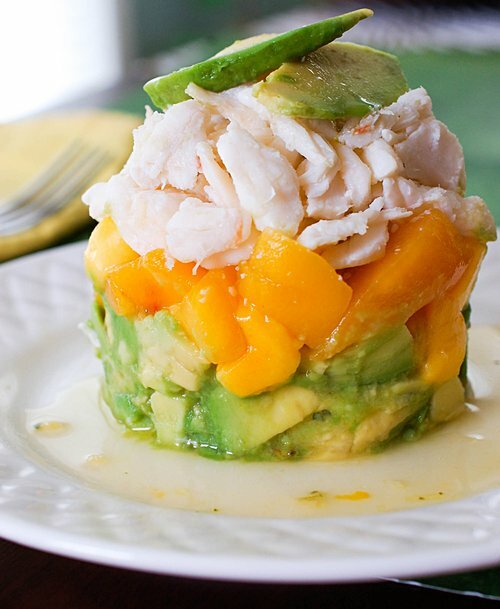 Comment below and let us know how you liked this recipe:) How will you use this recipe? Thank you for visiting our blog and we hope to see you again! *Note- if do not have cake flour, use this simple substitution, for every cup of flour, remove 2 Tablespoons (Tbsp) of flour and substitute with cornstarch and sift together, several times. 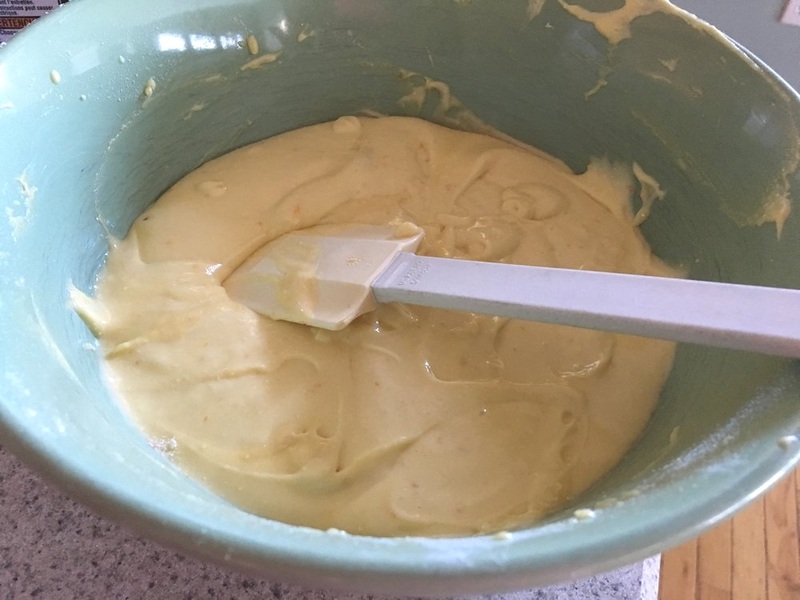 *Another Note- You could substitute any yellow boxed cake mix for the cupcakes, using the ingredients mentioned in the box and follow the directions for cupcakes. If you go this route, then use the ingredients listed on the box and skip down to the “Preparation for cupcakes” directions below and add the Apple Butter and cinnamon, as indicated below. Prepare the icing. Cream together shortening, butter, extracts and milk. Gradually add powdered sugar. Mix until blended. Set aside. Preparation for cupcakes- In a medium bowl, add cake flour*, baking powder, baking soda and salt. Sift the ingredients together and set aside. In another bowl, mix the eggs, sugar, vanilla and oil with an electric mixer and mix for about a minute. Reduce mixer speed to low and slowly add about half of the flour mixture. Add the milk, then the rest of the flour and the sour cream. Beat until just combined. Scrape down the side of the bowl and make sure no lumps are left at the bottom of the bowl. Do not over mix. The batter will be slightly thick. Line muffin tins with cupcake liners. So here is the fun part. The goal is to layer the batter. Fill liners about 1/3 full with cake batter. Dollop a Tablespoon of Cherchies® Apple Butter Spread on top of the batter. Sprinkle enough cinnamon to cover the batter (teaspoon). Carefully add another 1/3 of batter over top of Apple Butter and Cinnamon, not exceeding filling the muffin tin to 2/3 full. After you have carefully layered the batter, take a butter or table knife and gently run the knife through the batter to make swirls. You will only need a couple of swirls. Bake at 325 degrees for 15-18 minutes, checking them at 15 minutes. Insert a toothpick or a cake tester to check for doneness. If toothpick or cake tester comes out clean, the cupcake is done. If not, give it another minute or so until done. You do not want to overcook the cupcakes. Slightly under cooking is best, as the cupcakes will continue to cook when removed from the oven. Allow cupcakes to cool completely on a wire rack for about ten minutes. Ice cupcakes with the buttercream icing, using a 195 tip, or your favorite tip. Decorate with your favorite sprinkles and voila, moist fluffy cupcakes with a sweet apple-cinnamon filling inside, perfect for any occasion. Note: The cupcakes and frosting can be made ahead 1 day in advance. Make sure to cover tightly and store them in the refrigerator. Unfrosted cupcakes can be frozen up to 2-3 months, but thaw overnight in the refrigerator when ready to use- Cooking tip from Sally's Baking addiction. Hello friends! Happy Valentine’s Day, Happy February, and Happy Cherry Month! “While most people enjoy cherries in the middle of summer (hello…there is snow on the ground here), Cherry month (February) serves to remind you that cherries can be enjoyed at any time of year, in any form.” And, “indulging in massive consumption of cherries is the only way to celebrate (daysoftheyear.com). So, are you ready to talk cherries and Cherry Pie Cookie Bites? These easy to make Cherry Pie Cookie Bites are mini in size, but mighty in flavor! Bursting with fresh juicy cherries, bathed in Cherchies® Cherry Butter Spread, and nestled in a homemade buttery cookie crust, these sweet-tart morsels will tantalize your taste buds and make your head swoon. Enjoy these little gems for any occasion, any time of the year (even if it is snowing), but make sure to grab some for yourself because these cookie bites will disappear right before your eyes. (If you are short on time, feel free to use refrigerated sugar cookie dough). In a mixing bowl, cream the sifted powdered sugar and butter. To sift the powdered sugar (or any dry ingredient), as the recipe indicates, all you need is a fine mesh strainer. Simply plop the strainer over a bowl, pour the ingredients into a strainer and gently shake the ingredients. It looks like a fine powder when finished. Add egg and flavorings and mix thoroughly. Stir in dry the rest of dry ingredients until incorporated. Refrigerate for 2-3 hours if going to make into cut out cookies, otherwise chill for 30 minutes. While the dough is chilling in the refrigerator, make the cherry filling. Wash and remove pits from cherries. (Yes, it’s the “pits” to remove them…(Ha! ), but use this use this tool or something similar to make life a lot easier). Slice half of the cherries in half (you will use the remaining whole cherries as a garnish at the end). Why buy canned cherry pie filling when you can make your own from scratch in minutes? It really is not hard and the flavor is so much better than canned pie filling. In a small bowl, mix the cornstarch and Cherchies® Cherry Butter together. Add the cherry butter mixture and the cherries to a small saucepan and heat on low for about 5 minutes, or until cherry butter has dissolved and the mixture is smooth and thick, (similar to the consistency of canned pie filling -5 minutes). Remove from heat and allow to cool. Set aside. For cookie balls- Once the dough has chilled, preheat the oven to 375 degrees. Spray muffin tins with cooking spray. Shape the dough into 1 inch balls and place into mini muffin tins. Using a small round measuring spoon, a small melon ball scooper, a mini wooden tart tamper, or your finger, press the dough into the mini muffin tins, creating a cookie cup to hold the filling. Be careful not to go all the way through to the bottom. Bake the cookie cups for about 10 minutes, or until lightly golden brown. Remove the muffin tins briefly (as they will expand while they bake) to tamp down the dough back into shape. Return the cookie cups to the oven to finish cooking for a couple of minutes, until cookie cups are a golden brown. Remove the muffin tins from the oven and allow to cool in pan for 10-15 minutes, then gently run a knife along the sides to pop them out. (If you used enough cooking spray, then the cookie cups should come out rather easily). Once cookie cups have briefly cooled, remove them from the pan and carefully fill them with the cherry filling, making sure to add a whole cherry on top for the garnish. For the "icing on top", mix together the powdered sugar and lemon juice in a small bowl. If the icing is too thick, add a couple of drops of water, until the consistency is thick but smooth and runny. Drizzle the icing over the cherry pie cookie bites with the tines of a fork.